It's (Black) Friday and we're back with our weekly green book review. 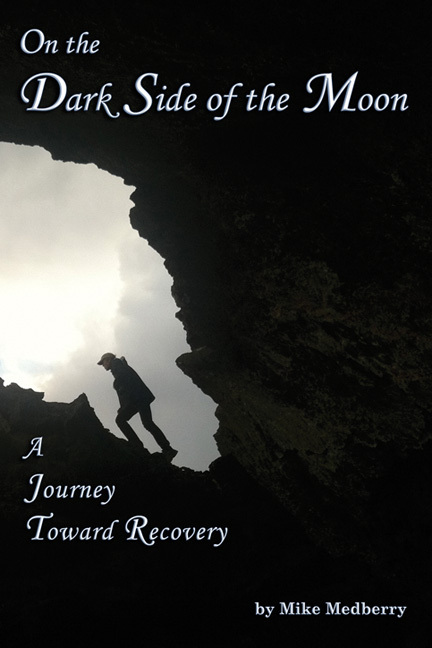 Today we're reviewing On the Dark Side of the Moon: A Journey to Recovery by Mike Medberry (published by Caxton Press). In the spring of 2000, Mike Medberry, a longtime advocate of conservation with American Lands, the Wilderness Society, and the Idaho Conservation League, suffered a stroke in the remote wilderness of the Craters of the Moon in Idaho. He was rescued after nearly a full day lying alone and contemplating death in one of the harshest yet most beautiful landscapes in the lower forty-eight states. Medberry was flown to a nearby hospital about the same time that Interior Secretary Bruce Babbitt, on behalf of President Clinton, came to the Craters of the Moon to support protecting three-quarters of a million acres as a unique national monument, a conservation effort in which Medberry himself had already been personally involved. This story interweaves Medberry’s own struggle to speak, walk, and think with the struggle to protect this brutal, lava-bound, but for him gentle landscape. Medberry’s recovery from the stroke and his struggle to protect the Craters of the Moon is a story of renewal, restoration, accommodation, and, ultimately, of finding workable compromises to some of life’s most difficult problems. The basic premise of this book is this: Mike Medberry, the author and an advocate of conservation with American Lands, the Wilderness Society, and the Idaho Conservation League, suffered a debilitating stroke while out in the wilderness of Idaho, at the Craters of the Moon. He was rescued after lying alone in the elements for almost a day. Although he lived, he was changed in a very real and almost overwhelming way. However, the book is not just about Medberry’s recovery as he re-learns how to speak and walk and to even think in general. It is also about protecting the Craters of the Moon. At the time of Medberry’s stroke, a Mr. Bruce Babbitt, was sent by President Clinton to the Craters of the Moon in order to support the protection of three-quarters of a million acres as a national monument. This was very real and hard fought battle for conservation. This was why Medberry was on the Craters that day. This book was two elements. The first is the author’s struggle to find a way to live and work and be productive after his life-altering stroke. The frustration and the despondency felt through his journey were written in a way that I as the reader could follow along and feel and sympathize with him. I cheered him on as he made progress with his body and his mind, as well as his life, both socially and economically. The second is the conservation effort with regard to the Craters of the Moon. I understand this was a very important part of his life and maybe it helped in his journey through his recovery. It was also great information and the efforts are very important to our world today. However, as to this book, I found it intrusive to the story. It didn’t add anything, and in fact it jerked you out of his life and his struggle and shoved you into “the cause”. However, this book is very worthwhile and is one that I am happy to have read. All in all, I enjoyed the read. You can purchase the on Caxton Press website.